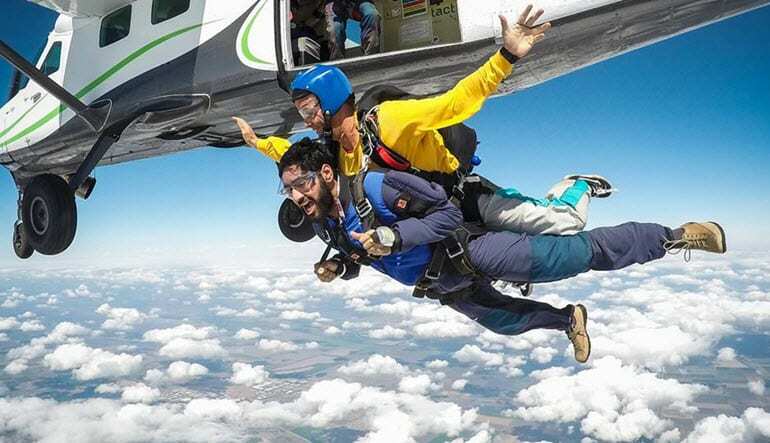 If you want to live like You Only Live Once...book with Adrenaline and go skydiving! “Sweet, sweet endorphins!” - Anthony L. from Oakland CA says it all. 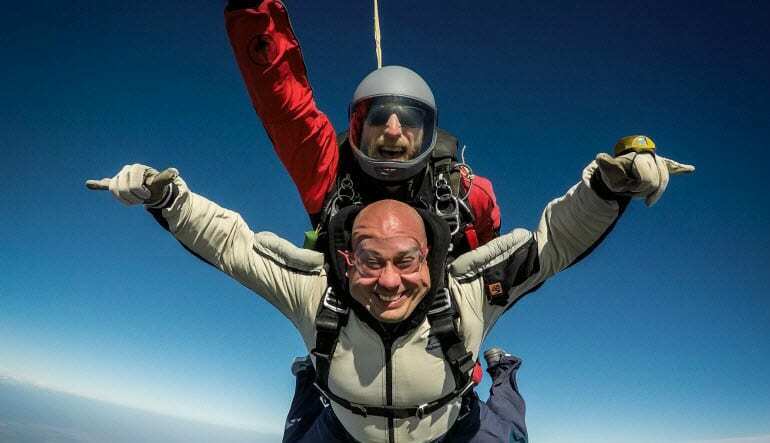 Skydiving is THE bucket list experience and nobody does it better than we do! Yolo? Y.O.L.O. You. Only. Live. Once! I'll let Anthony continue... “They call you in and suit you up, all the while reviewing with you how everything is going to go down. I cannot stress enough how confidence-inspiring these guys and gals are. They know their stuff, and are incredibly friendly...which means you get to focus on having fun! Next it's onto the plane for good-natured banter, another instructional review, and final gear prep (which they handle). 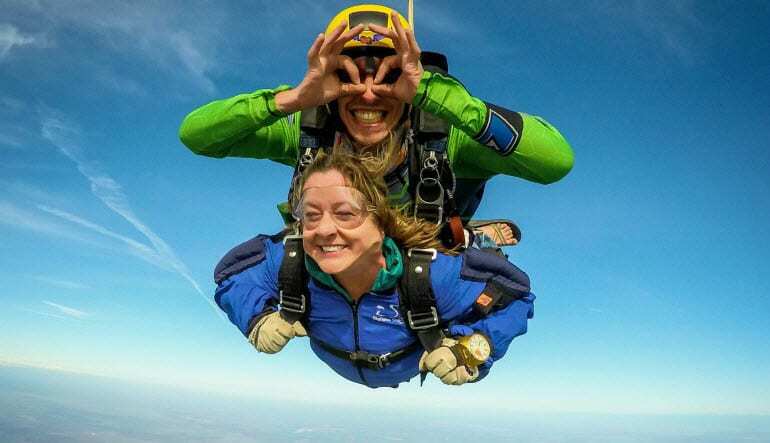 Fistpounds are exchanged at altitude, and next thing you know the door is open, your videographer hanging out of the exterior. Your guide launches you forward, guides you through a barrel roll that would have been impossible for you to execute solo, and then you freefall. You're having so much fun that your instructor has to tap you on the shoulder twice to remind you to look at your altimeter. I wasn't able to find my cord, so Greg released the canopy himself. We took a few controlled turns on the parachute - easily my favorite part - and then, we landed. Sweet, sweet endorphins”. Thanks, Anthony! If you want Anthony's experience...If you want to live like You Only Live Once...book now and dance in the sky with the pros! My instructor was very comforting and awesome! The camera guy was great. Every member of staff was very interactive and reassuring. I could tell everyone there loved their jobs!